The Chronicle Herald is Canada's oldest independently owned newspaper, but it no longer has its most experienced staff writing articles. 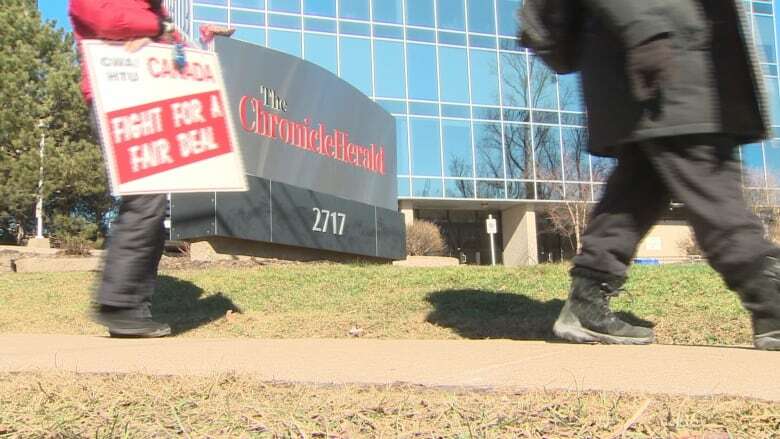 A Chronicle Herald vice-president says he isn't trying to bust the union, something he's been accused of doing over the course of the now 10-month strike. "Never even crossed our minds, frankly," Ian Scott said in an interview Saturday. The Chronicle Herald is Canada's oldest independently owned newspaper, but no longer has its most experienced staff writing articles. Instead, they're walking the picket line outside their old offices in Halifax and Sydney, N.S., while the newspaper uses replacement workers to get the paper out each day. Talks have broken off a number of times, and six of the original 61 Halifax Typographical Union members have left the Herald for other work. Now management has filed a defence to a labour board complaint in which the union accuses it of intending to remove the union and not negotiate a contract. Management has proposed making certain journalist jobs non-union, including page layout, editing and web production. About 10 people would be hired to do that work in a non-union "hub." The union newsroom would shrink from 55 jobs to about 30. "Really, it was a death knell to the union itself," lead union negotiator David Wilson said Saturday. 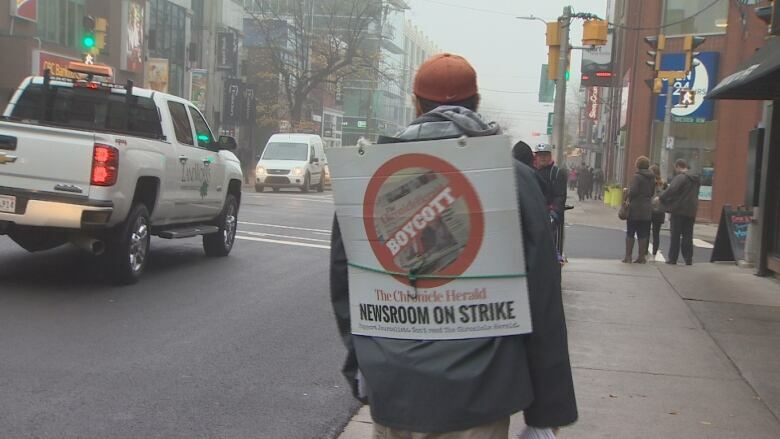 A non-union hub for production and editing is done by newspaper chains such as Postmedia and Brunswick News. 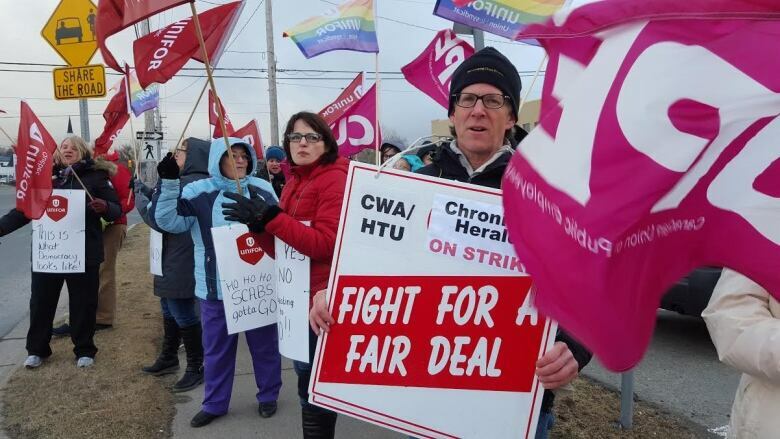 A long-time newspaper business watcher recently said the difference is that those companies negotiated that hub over several collective agreements, instead of all in one go. Wilson, who has negotiated with such papers, said the Herald's approach is unusual. "It is the most bizarre round of negotiations in my 21 years of doing this. Never have I run up against this," Wilson said. "There seems to be this vindictiveness, this absolute hate for the employees of the newsroom, and where that is coming from is beyond me. The relationship is so bad that I think ... they can't find the wherewithal to back off a position or two." The labour board meets with both sides on Dec. 21. The independent tribunal that will make a decision on the complaint would likely do so in January, almost a year after journalists walked off the job. Management is indeed focused on cutting newsroom union positions, Scott said. "We've been very clear from the get-go that we need to reduce the cost of our production," Scott said. "We're trying to reduce the size of the newsroom, so by definition, yes, but it has nothing to do with the union, per se. "It has to do with the number of people, and therefore the cost." The defence filed to the labour board by the Herald also complains about striking staff behaviour. It says people shined spotlights into the faces of Herald-hired security, that protests caused a traffic accident and that union president Ingrid Bulmer "banged aggressively" on a car hood. "That simply never happened," Bulmer said in a message to CBC News. Wilson also denied the accusations of misbehaviour. Bulmer said the Herald did seek a court injunction, but that was to reduce how long strikers could delay newspaper delivery trucks. It also required the union and management to report any violence or harassment to leaders on the other side. Scott said he wasn't familiar with these accusations. He said his focus was on the non-union hub jobs and how the union has opposed these from the start. In his first interview with CBC News in months, Scott said the union's negotiating has become about "media interviews and gamesmanship." "The company's doing fine. Obviously, we want to get a settlement, but we can't simply decide to settle at any cost," he said. "The proposals that the union has before them ... it can come back to us with a response." Early Saturday morning, Wilson said he received a text message from the Herald's lawyer asking if he'd like to talk. Wilson said yes. "We could have this thing over with tomorrow if they really wanted to negotiate," he said. 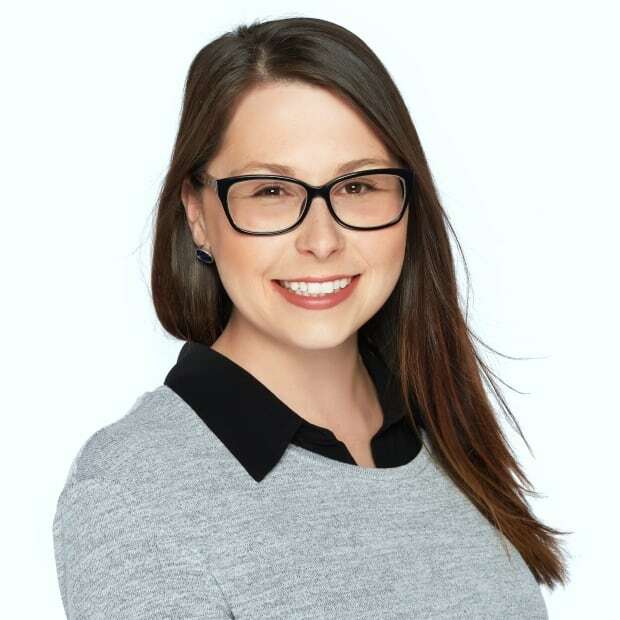 Rachel Ward is a journalist with CBC Calgary. You can reach her with questions or story ideas at rachel.ward@cbc.ca.